The movers and shakers behind a large-scale, mixed use amusement complex have formally announced their plans to bring their entertainment destination project to north Georgia. AVATRON on Monday released details about its plans to open up shop in Bartow County, which is located about 45 minutes northwest of Atlanta. 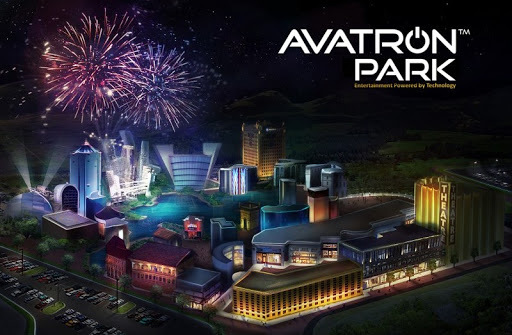 "We are proud to introduce AVATRON Park to the great state of Georgia and American audiences everywhere," said James Ram, vice chairman of AVATRON. "We are pushing the thresholds of location-based entertainment storytelling like never before thanks, in part, to our unique combination of experienced creative leadership and technology integration expertise. We look forward to sharing this game-changing experience with future guests." Records from the Georgia Department of Community Affairs' Developments of Regional Impact show the park will be situated along 712 acres on Paga Mine Road in Emerson, which sits just south of Cartersville. According to the company's DRI filing with the state, AVATRON Park will be a "totally immersive, technology driven theme park drawing on the expertise of Hollywood's leading visual effects professionals." Plans call for a project to include up to two hotels, retail operations and possibly a music performance venue, according to the initial DRI filing with the state. Once constructed, it also projects an estimated value of $480 million. The company coins the development as a next-generation theme park "built on the crossroads of where entertainment meets fantasy and perception becomes reality." Park attractions will feature a broad range of multimedia and multi-format offerings, with unique combinations of new content, Hollywood storytelling and cutting-edge special effects. "Perhaps what sets AVATRON apart is the highly individualized experience we are creating for the end-user," said AVATROn President Jo Ram. "Our interactive platforms cannot be replicated to scale inside the home. The goal is to deliver the most technologically advanced and real-time socially engaged, entertainment experience." Attractions in development for the park will include newly created intellectual property, along with high-profile gaming and movie industry intellectual property including Lionsgate's cultural phenomenon, The Hunger Games. Lionsgate has announced its licensing, for the first time in North America, of The Hunger Games, Step Up and Now You See Me franchises as part of their partnership agreement with AVATRON. Since project inception and preliminary financing began, AVATRON's partners have been met with strong receptivity for the project. "AVATRON Park isn't a hard sell when you look at audience and tourism trends, economic projections, and future job creation scenarios congruent to the entertainment experience we have to offer," said David C. Garrett, AVATRON chairman and CEO. "I speak for all three partners in saying that our community stewardship and ability to be a good neighbor is as important to us as any other development component. We want AVATRON to benefit Georgia, entertain the masses, and inspire the next generation of experiential entertainment."